This is Carol, Roger's wife. No one should be surprised that Paul Bryant Jr.'s ventures into insurance have been riddled with fraud. An investigative article in the current issue of Bloomberg Markets shows that Bryant's company was not meant to provide products and services, but rather to deceive the public and industry insiders about troubled insurance firms. The article also shows that Alabama Reassurance was set up to hide profits from Bryant's dog track operations. "The company made a business out of propping up troubled insurers with reinsurance that appeared to reduce liability, says W.O. Myrick, a retired Alabama state insurance examiner. The contracts carried little, if any, risk to Alabama Re, he says. One client, Inter-American Insurance Co. of Illinois, went into liquidation in 1991, according to Cook County court documents. 'Historically, Alabama Re has entered into contracts to assume liabilities from problem insurers to help them appear to be in better financial condition than they actually are,' Myrick says in a telephone interview." Experts told Bloomberg that the whole point of Alabama Reassurance was to hide dog track profits. "Mississippi also examined Alabama Re. 'They were propping up broke companies for a fee,' says Tom Gober, who was examiner-in-charge at the Mississippi Insurance Department in the early 1990s. 'Companies knew they could call on Alabama Re because Alabama Re had to offset dog track profits.'" This is Carol, Roger's wife. A deputy who assisted in the arrest of Legal Schnauzer publisher Roger Shuler can be heard on video threatening to break the journalist's arms. The primary officer in the arrest has admitted under oath in court that he has a history of citizen complaints about police brutality and excessive force. What does this say about deputies Jason Valenti and Chris Blevins? It isn't pretty, to be sure. Blevins and Valenti can be seen on video dragging Shuler out of his garage and placing him face first on the concrete driveway. Shuler's arms clearly are behind his back, but Valenti is apparently not pleased about something. He can be heard telling Shuler that if he doesn't let his arms go loose, "I'm going to break them." At Shuler's recent resisting arrest trial, the journalist asked Blevins if he had ever been the subject of citizen complaints about police brutality and excessive force. Blevins answered yes, and when Shuler attempted to follow up on that questioning, District Judge Ron Jackson cut him off. "Deputies Valenti and Blevins clearly have a history of thuggish behavior in their roles with the Shelby County Sheriff's Office," Shuler said. "The video in this case is extremely disturbing, particularly when you consider that there was no warrant in the case and the video clearly shows both deputies entering our house without showing a warrant because they didn't have one." This is Carol, Roger's wife. 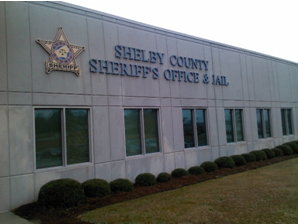 A recent inmate suicide at the Shelby County Jail could have resulted in multiple injuries or deaths, Legal Schnauzer publisher Roger Shuler says. The suicide happened in the cell block where Shuler has been incarcerated since Oct. 23 because of a bogus lawsuit filed by Alabama Republican political figure, Rob Riley. Multiple cameras are present in the cell block and inmates said that guards are supposed to be doing video monitoring 24 hours, seven days a week, but apparently no one was on duty or was asleep at the switch when Dismuke climbed the stairwells and then climbed up the three horizontal bars to the top of the cell units and jumped off. “One has to wonder why someone was not watching and allowed this tragedy to happen,” Shuler said. “There’s clearly video monitoring equipment in here and why someone wasn’t watching and stopped this is hard to figure." Dismuke told Shuler and other inmates that he was traveling from Georgia to a work site in Illinois when he was stopped in Shelby County by deputies who said he was driving erratically. Dismuke admitted that he was tired and probably was weaving in traffic and deputies took his license and registration, but then let him go. He drove north to an Econo Lodge and was going to check in, but he couldn’t do it because he realized that he didn’t have his license with him and that the deputies had kept it. “He was about to leave the hotel when deputies appeared,” Shuler said. “They had followed him there and they returned his license, but then they also decided to search his vehicle even though they had no probable cause to believe there was a crime connected to that vehicle. The search produced some drugs including Xanax and some other medication, but that’s what he was arrested on, but there’s clear signs that something was irregular about the traffic stop and also the fact that deputies were trying to confiscate $3,000 that Dismuke had that he said was a payroll check that he’d cashed from his work that was not connected to drugs, but they were trying to get him to forfeit it and he was deeply upset about that.” Shuler says a federal investigation should be done on the irregular, negligent and most likely unlawful circumstances surrounding the traffic stop, Dismuke’s arrest and ultimate tragic suicide. This is Carol, Roger's wife. Legal Schnauzer publisher Roger Shuler was denied proper treatment recently for a simple medical problem while unlawfully incarcerated in the Shelby County Jail. Shuler noticed allergy symptoms after a recent trip to the Jefferson County Courthouse for a hearing in the Jessica Medeiros Garrison case. Shuler wound up with a nurse at the jail trying to give him the wrong pill that had been prescribed without a visit to the medical office. After noticing the onset of symptoms, Shuler filled out a sick call form, which includes a $5.00 charge that supposedly is for a visit to the medical office. On his form, Shuler requested an antihistamine for allergy symptoms and ibuprofen for achiness. But he was never seen by a member of the nursing staff and wound up being given a "mystery pill" that he had not asked for. "The nurse tried to give me two yellowish pills here in my unit and I did not recognize what they were," Shuler said. "She told me they were a decongestant called CPM. I told her a nurse had never seen me in the office and that I had not requested a decongestant, that I needed an antihistamine. I told her I was not going to take a pill that I didn't even know what it was and she shrugged her shoulders as if to say she didn't care one way or another. "In my discussions here at the jail, it seems to be a common problem for inmates to be given pills that were not properly prescribed and often they do not even know what the pills are. In my case, my problem finally is resolving but I spent three or four days under the weather for a problem that should have been resolved in a few hours time. I can see instances where inmates take pills that are improperly prescribed and make their health issues worse. Allergies are one of the most common medical problems in America and there are many simple, inexpensive over-the-counter medications for treating them. If the Shelby County Jail can't deal with a problem as simple as a mild allergy, I wonder if they should be housing humans here anyway. I feel like my health has been jeopardized by the lack of medical care here and that's particularly alarming considering that I should not lawfully even be in here. Multiple experts told the New York Times my incarceration is unconstitutional without question and this is just one of the issues that happens when you allow people like Rob Riley to play political games with our justice system." Does Legal Schnauzer's No-Warrant Arrest on Oct. 23 Essentially Amount to a State-Sanctioned Kidnapping? This is Carol, Roger's wife. Evidence presented in open court last week shows that Legal Schnauzer publisher Roger Shuler was arrested without a warrant. That means Deputy Chris Blevins had no lawful authority to make the arrest, and it raises this troubling question: Is Shuler the victim of a state-sanctioned kidnapping? From his current location in the Shelby County Jail, Shuler is not able to fully research the legal issues involved. But he says his arrest clearly required a warrant; the charge was civil contempt, and it was not a case of an officer witnessing misconduct and being able to make a warrantless arrest. At Shuler's resisting arrest trial last week, District Judge Ron Jackson ordered Prosecutor Tonya Willingham to produce any warrants associated with the arrest. Willingham replied as follows, "Your honor, we have no warrants." Shuler says that means there either were no warrants or the prosecutor withheld evidence which could jeopardize her career. "I would ask our readers to consider this scenario," Shuler said. "Imagine if I have had been at the Riverchase Galleria on Oct. 23, 2013 and a fellow shopper accosted me and threw me in the backseat of his car and drove off. That shopper would have no legal authority to take such action, and it would be considered a kidnapping. I had two friends when I was in college who were kidnapped in my Missouri hometown, so I know that it's one of the most serious crimes on the books. Because he had no lawful authority to make an arrest, Deputy Chris Blevins essentially kidnapped me and I'm still a kidnap victim today." Bloomberg Markets Publishes Investigative Article on University of Alabama Trustee Paul Bryant Jr. This is Carol, Roger's wife. One of the nation's foremost business magazines has published an investigative article about University of Alabama trustee Paul Bryant Jr. and his ties to a massive insurance fraud scheme in the late 1990s. Bloomberg Markets reports on the Bryant scandal in the January 2014 issue, which is on news stands now. Bryant, the son of Hall of Fame Coach Paul "Bear" Byant, is prime money man behind Alabama's powerhouse football program, and ESPN has called him one of the most powerful figures in college athletics. Reporting on Bryant's ties to financial fraud originated here at Legal Schnauzer with a series of posts that began about five years ago. Bloomberg reporters Anthony Effinger and John Helyar picked up on those posts and expanded on them, providing the first serious scrutiny of Bryant's business practices in the mainstream press. An early version of the article, titled "Alabama Football Dominance Powered by Bear Bryant's Son's Fortune," appeared at the Bloomberg website on Nov. 24, 2013. An updated version appears in the January 2014 print issue and can be viewed in PDF format at the end of this post. "In contrast with his father, who basked in the celebrity that came from winning six national football championships, Bryant wields his power under the radar. Little has been written about the sources of his wealth. He started his fortune with greyhound racing in 1977. One of his tracks, in La Marque, Texas, grossed $268 million in 1993, a record for the sport, according to the Texas Racing Commission. Then he diversified into catfish farming and banking. In 2011, he sold a cement business to Mexico-based Cemex SAB for $350 million. 'I’m a pretty good risk taker,' Bryant says in a rare interview at the university’s offices in Tuscaloosa." "Bloomberg Markets has provided exceptional insight into the fraud seeded background of one of Alabama's most secretive and powerful figures," Legal Schnauzer publisher Roger Shuler says. "The Bloomberg article shows how Bryant and his insurance company became involved in the fraud and what was driving their participation. It's a story of stunning greed that portrays Paul Bryant Jr. as a con man and a fraud, even though he sits atop the board that governs the mothership university in our state." This is Carol, Roger's wife. A process server might have violated jail policy and state law by serving court papers last week at the Shelby County Jail on Legal Schnauzer publisher Roger Shuler. The guard called Shuler to the visitation area of the jail at about 3:15 p.m. last Friday for what was billed as a "attorney visit." Shuler arrived to be met by Debi Berger of Magic City Investigations who served him with papers in a lawsuit filed by Luther Strange campaign aide Jessica Medeiros Garrison. "In my research of the Shelby County Jail handbook, I could find no provision for a process server to visit an inmate here," Shuler said. "Visits appear to be limited to family and friends (on weekends), attorneys, and members of the clergy. Berger does not fit into any of those categories, so it's hard to see how she was allowed into the jail to visit me and serve papers. I have filed a grievance with the jail seeking all documentation regarding her visit. If she stated on the sign-in sheet that she is lawyer when she isn't that could violate Alabama law. A number of statutes in the code of Alabama relate to false statements to law enforcement departments and officials. It's unclear at this point that Berger violated any of those statutes, but it's a worthwhile question to ask and one that I intend to pursue." This is Carol, Roger's wife. An Alabama deputy shoved Legal Schnauzer publisher Roger Shuler to a concrete floor three times and maced him before ever stating that he was inside the Shuler's home to make an arrest. That was one of several stunning revelations during Shuler's resisting arrest trial in Shelby County Tuesday. Much of the evidence was produced by a stream from a video that was generated by a camera in the vehicle of Deputy Chris Blevins. "In the audio, you can hear Deputy Blevins assaulting me three times and spraying me with mace before he ever said that he was on the premises to conduct an arrest," Shuler said. "The evidence showed that I was defending myself with the only physical act that I did according to Blevins' own words was raising my arms in a defensive posture, and I was defending myself against a grotesque example of police brutality and excessive force. Evidence showed that Blevins likely had no warrant given that the prosecution could produce no warrant at the trial. The notion that a journalist or any other citizen could be arrested and beaten up in their own home without a warrant should be a cause of great concern for all citizens." Assistant District Attorney Tonya Willingham prosecuted the case and when forced to turn over copies of any warrants she said she did not have one. How can a resisting arrest case be prosecuted when there are no warrants in evidence? That's one of many disturbing questions raised by Tuesday's trial. The incident in the report has a box that says "Warrant Signed?" and Blevins has inserted the word "No" as an answer. This is Carol, Roger's wife. Legal Schnauzer publisher Roger Shuler was convicted yesterday of resisting arrest in a trial where the prosecution failed to produce any evidence of an arrest warrant. District Judge Ron Jackson made the guilty finding in a misdemeanor bench trial and issued a 90-day suspended sentence. During the discovery phase of the trial, Shuler requested copies of any arrest warrants in the case and related documents. The prosecution produced three documents none of which appeared to be an arrest warrant. When Shuler pressed Jackson on the issue, the judge admitted that the prosecution had produced no warrants. "Evidence in the trial shows I was arrested without a warrant," Shuler said. "It's either that or the prosecution withheld evidence. Either way it points to grave misconduct by either deputies, prosecutors, or both. It also points to the fact that my arrest and incarceration have been unlawful, grossly so, from the very get go. How can Judge Jackson find that I was guilty of resisting arrest when there was no evidence of an arrest warrant at all? Well that's just another chapter in the story of grotesque corruption in Shelby County courts. Yesterday's trial produced much more shocking evidence and we'll be discussing those in upcoming posts." New York Times Covers Legal Schnauzer First Amendment Case, Shuler Only Jailed Journalist in U.S. This is Carol, Roger's wife. Multiple legal experts said Legal Schnauzer publisher Roger Shuler is the victim of unconstitutional actions by an Alabama judge in an article published yesterday in The New York Times. The article, reporter Campbell Robertson, appeared on page A14 of the Sunday, Jan. 12 issue of the nation's most prestigious newspaper. The article came after an almost three hour interview with Carol Shuler and an hour's worth of four separate interviews with Roger Shuler via telephone from the Shelby County Jail, where he has been incarcerated since Oct. 23 due to a lawsuit filed by Republican political figure Rob Riley. "...Mr. Shuler, 57, was arrested in late October on a contempt charge in connection with a defamation lawsuit filed by the son of a former governor. The circumstances surrounding that arrest, including a judge's order that many legal experts described as unconstitutional..."
Robertson notes that Shuler is the only incarcerated journalist in the Western Hemisphere and points out that other countries that have imprisoned journalists in 2013 include China, Iran and Egypt. Alabama lawyer David Gespass voiced serious concerns about what has happened to Shuler in the Shuler case, "It seems to me that the judge's order was really way out of bounds." What about inaccuracies in the story and other issues it raises? We will address those in a series of upcoming posts. "This is a profoundly important issue and while I'm disturbed about some of the inaccurate reporting in it, I applaud Campbell Robertson and The New York Times for their effort to shine light on an issue that the public needs to know about. This an important part of the process to educate readers worldwide about exactly what is going on in Alabama courts. And we will be taking a much closer look at issues that are raised in the days ahead," Shuler said. The full article can be read at this link: Blogger's Incarceration Raises First Amendment Questions. This is Carol, Roger's wife. An Alabama deputy arrested Legal Schnauzer publisher Roger Shuler by entering the Shulers' home before even stating that he had an arrest warrant. Shuler has been incarcerated since Oct. 23 on civil contempt charges stemming from a lawsuit filed by Republican political figure Rob Riley. Shuler also faces a resisting arrest charge which is due to be heard at 1:30 p.m. on Jan. 14 in Courtroom A before District Judge Ron Jackson at the Shelby County Courthouse. Public documents, however, show that it is case of excessive force and police brutality with no evidence of resisting arrest. "I used my vehicle's air horn to get Mr. Shuler's attention and he stopped his vehicle in front of his garage. Mr. Shuler saw me getting out of my clearly marked patrol vehicle before he opened the door and drove inside. I walked to the rear of his vehicle and tapped his trunk with my hand. Mr. Shuler got out of his vehicle and began yelling for me to get out of his house." Based on Blevins' own words, he was inside the Shuler's house when he walked to the rear of their vehicle which was parked inside their garage. And at that point, Blevins had not even told Shuler that he had an arrest warrant. It's already established, as we reported in a post on Jan. 9, that Blevins never did show Shuler arrest warrants that the deputy alleges was in his vehicle. "Deputy Blevins' own narrative shows him being in our house without even stating that he had an arrest warrant," Shuler said. "I do not recall him telling me he had an arrest warrant at all and he clearly never showed me one. So even by Blevins own words, he had no business being in our property and I had every right to tell him to leave my house. Mr. Blevins acted surprised that he was told to leave my house, but he never gave me any lawful indication that he had business and grounds to be there." "We also know from Chris Blevins' own words that he knocked me down to a concrete floor three times and maced me with no grounds for even being in my home. And all of this about his failure to either show or state about an arrest warrant makes me wonder if he even had arrest warrants and if he did, if they were properly documented and executed. I believe there are serious questions about this arrest from the get go. And once again, there are clear signs of excessive force and police brutality. I easily could have suffered a concussion or fractured skull or broken arm or any number of injuries in this case and because of an unlawful arrest, I've been incarcerated for almost three months." Following is a transcription of Deputy Blevins' narrative from the incident report. After that is a video about information in the incident report. This is Carol, Roger's wife. An Alabama deputy arrested Legal Schnauzer publisher Roger Shuler by entering the Shuler home without showing a warrant, documents reveal. Shuler has been incarcerated in the Shelby County Jail since Oct. 23 on civil contempt charges stemming from a lawsuit filed by Republican political figure Rob Riley. See links to previous LS blog posts on the lawsuit here, here, here, here and here. Shuler also faces the resisting arrest charge that is due to be heard at 1:30 p.m. on Jan. 14 in Courtroom A by District Judge Ron Jackson. Public documents, however, show that Shuler did not resist arrest and, in fact, was a victim of police brutality, being thrown to a concrete floor three times by Deputy Chris Blevins. "I had two arrest warrants for contempt of court on Roger Shuler in my vehicle. I observed Mr. Shuler traveling towards his home at 5204 Logan Drive. Mr. Shuler pulled into his driveway and I drove in behind him." Blevins' narrative never says that the arrest warrants left his vehicle or that he showed them to Roger Shuler. Shuler states that he does not recall Blevins telling him that there was an arrest warrant for him or even saying that Blevins was there to arrest Shuler. But it's undisputed based on Blevins own words in his narrative that he did not show an arrest warrant to Shuler. "How can I resist arrest when I was never shown lawful documentation that shows I was under arrest?" Shuler said. "Deputy Blevins is claiming this was a resisting arrest case, but the narrative actually shows it was a police brutality case. In his own words, he knocked me to a concrete floor three times and maced me in the face for no reason and without lawful grounds to even be inside my home. Deputy Blevins followed me into our driveway, we were both in vehicles and tried to cut me off from getting in the garage, but couldn't do that so I pulled my car into our garage and got out to find Deputy Blevins walking into our garage without showing a warrant. He asked me to step outside and I told him to get out of my house, that he had no lawful grounds to be there. The next thing I know I was being assaulted. This incident had a regular citizen done it would have been a felony assault, but because a deputy does it, he seems to think he can get away with it and charge me with resisting arrest." Shuler noted that the narrative also shows that he was the victim of an unconstitutional traffic stop. In Blevins' own words, Shuler was traveling in a vehicle and Blevins also was in a vehicle so this was a traffic stop and there were no indication in the narrative that Shuler committed any traffic violation that gave Blevins grounds to stop him. "This is a classic sign of a police state that we have now here in Alabama and probably in other states too. There were no grounds to even stop me in my vehicle and certainly no grounds to come in my home and beat me up," Shuler said. "The coverage on this case has focused largely on the first amendment issues, but this is a fourth amendment issue, an unlawful seizure in my house that also goes to police brutality and should be deeply alarming to citizens not only in Alabama, but around the country. We'll be reporting more on this issue and particularly as we get up to my court date on Jan. 14." This is Carol, Roger's wife. Legal Schnauzer publisher Roger Shuler has been incarcerated for almost three months which is unlawful due to procedural defects. Alabama law holds that the opposing party in an injunction hearing must receive notice sufficient to allow for written responses and to take witness testimony. The Shulers were "served" via an unconstitutional traffic stop at the North Shelby County Library on Sept. 29 and an injunction hearing was the next day on Sept. 30. The notice of barely 24 hours violates Alabama law found in the Alabama Supreme Court case styled Southern Homes, AL v. Bermuda Lakes, LLC 57 So. 3d 100 (Ala., 2010). "The seeking of a preliminary injunction is a serious matter under Alabama law and the opposing party is entitled to present written material and call witnesses to oppose it," Roger Shuler said. "The Southern Homes, AL case does not specify the amount of time required, but it does require enough to time to give written responses and take witness testimony and that means it probably anticipates two to three weeks of notice maybe more. The fact that we barely got 24 hours notice is a clear violation of Alabama law. And Judge Claude Neilson went ahead with the hearing and has granted an injunction that is unlawful on that ground and other grounds also." Southern Homes argues, among other things, that it received insufficient notice under Rule 65(a)(1), Ala. R. Civ. P., of the hearing on Bermuda's motion for a preliminary injunction, in violation of Southern Homes' due-process rights. We agree. . . . In the present case, it is undisputed that Southern Homes had less than two hours' notice of the hearing on Bermuda's motion for a preliminary injunction and that Southern Homes' counsel participated in the hearing only by telephone. Southern Homes was not able to submit written arguments in opposition to the motion or to submit evidence to support its arguments. Also, under the circumstances, Southern Homes could not call any witnesses. . . .
Southern Homes had to be given notice of a hearing in which it was given a fair opportunity to oppose the motion for the preliminary injunction and to prepare for such opposition. Southern Homes simply was not given such notice. Therefore, under these circumstances, we conclude that Southern Homes did not have a fair opportunity to oppose the motion for a preliminary injunction, and, thus, the circuit court exceeded its discretion in issuing the preliminary injunction. "I've been incarcerated unlawfully for 11 weeks now and the procedural and legal errors in this case are momentous and numerous," Shuler said. "But one of the most glaring deficiencies was that we were given no opportunity to response to this preliminary injunction. Initially I challenged the unlawful service which was the right thing to do because that is the first order of business in any lawsuit. If service is not done correctly, the court has no jurisdiction and there is no case. My Motion to Quash Service motion should have been granted, but it was denied and I was incarcerated and arrested on Oct. 23 before I ever received the order on that. Had I not been arrested, I would have immediately challenged that order and also challenged the lack of notice which should have kept us from having to face an injunction in this case. What this means is that the preliminary injunction where we did not receive notice is unlawful, the permanent injunction therefore is unlawful, the contempt of court is unlawful and my incarceration therefore is not based in any law whatsoever. And it's just a gross violation of due process rights which is found in the fourteenth amendment of the U.S. Constitution." This is Carol, Roger's wife. A man who committed suicide in the Shelby County Jail recently was in the general inmate population even though he had been diagnosed with a serious mental health disorder. Steven Ray Dismuke, of Jakin, GA, had told inmates that he had been diagnosed with bipolar disorder and schizophrenia, but he had been placed in the general population. Dismuke also said he was not taking his medication since he had been arrested some 10 days earlier by Shelby County deputies. "This event has been reported in the press as a death that is under investigation," said Legal Schnauzer publisher Roger Shuler. "But there is nothing mysterious about it. Steve Dismuke jumped to his death some 27 feet off a two-story cell unit and he had told inmates that he was bipolar and schizophrenic and was not on his medication. That's just one of several alarming circumstances surrounding this death." Shuler said Dismuke's death also raises issues about jail design, inmate surveillance and traffic stop procedures by Shelby County deputies. Shuler has been housed in the Shelby County Jail since Oct. 23 based on a lawsuit by Republican political figure Rob Riley who seeks to have certain posts removed related to lobbyist Liberty Duke. Law dating some 230 years to the early days of the country say that such prior restraint on publication is unlawful, but Shuler has been held in civil contempt for failing to remove the items even though there's been no discovery in the case and no final judgment that the material is false and defamatory. Shuler has spent his birthday, Thanksgiving and Christmas in jail and has been now incarcerated for more than two months. This is Carol, Roger's wife. An inmate committed suicide recently in the cell block where Legal Schnauzer author Roger Shuler has been unlawfully incarcerated since Oct. 23 at the Shelby County Jail. Steven Ray Dismuke climbed atop a two-story stack of cell units and jumped backwards off of them, landing on a concrete floor some 27 feet below. Dismuke died on Thursday, Dec. 12, at a Birmingham area hospital. The incident has been reported as an inmate death that is under investigation, but multiple inmates witnessed the event and it clearly was a suicide. 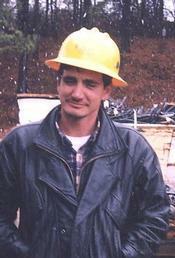 Dismuke appeared to be in his mid to late forties and lived in Jakin, GA, across the state line from Dothan, AL. He was traveling from his home to the work site in Illinois when he was arrested in Shelby County about 10 days prior to his death. Dismuke was bleeding heavily from his ears and from a wound on the back of his head as jail personnel administered lifesaving measures and inmates were ushered into an outside recreation area. A physician in the inmate population was by Dismuke's side within seconds after he landed. "It was perhaps the most traumatic event I've ever experienced," Shuler said. "Steve landed just outside my cell unit off the ground floor, about 10 feet from where I was resting on my bunk. I will never forget the sound of his skull hitting the concrete. It sounded like a gunshot or if a small bomb had been detonated." Shuler said many of the inmates had gotten to know Dismuke and found him to be soft-spoken and likable. "I spoke extensively with Steve about events leading to his arrest," Shuler said. "Inmates know that I write a blog about justice issues and Steve sought me out to tell me about what had happened to him. He seemed to be in fairly good spirits, but he also had reason to be upset about how he had been treated by the deputies who arrested him." Dismuke reportedly worked for a company that helps restore power after storm outages. "Based on what Steve told me, Shelby County deputies took some dubious actions that lead to his arrest," Shuler said. "Also inmates told me that Steve had serious health issues that apparently that did not receive proper attention from jail personnel. My impression is this suicide definitely was avoidable and it's a real tragedy that Steve Dismuke is no longer with us." This is Carol, Roger's wife. The beating of a journalist in Ukraine recently made international news. Such thuggish tactics are not limited to the republics of the former Soviet Union and other developing countries. They can be found right here in Alabama. Legal Schnauzer publisher Roger Shuler was the victim of police brutality when he was unlawfully arrested because of a lawsuit filed by Republican political figure Rob Riley. Shuler was returning home from a visit to the North Shelby Library and a brief stop for dinner when a Shelby County police car almost crashed into him in his driveway at roughly 5:45 p.m. on Oct. 23. Deputy Chris Blevins apparently was trying to keep Shuler from entering his own garage and almost hit the Shuler vehicle and their house. Shuler had the garage door open and a free entry into the garage so he drove in and that's when the brutality started. Blevins entered the Shuler garage which is underneath their house even though the deputy did not show a search warrant or an arrest warrant of any kind. Blevins then proceeded to brutalize Shuler knocking him to the floor three times and spraying mace in his face and eventually pressed resisting arrest charges against Shuler even though there is no evidence that Shuler initiated contact with Blevins at all. "If a regular citizen had done to me what Chris Blevins did, the individual would be facing multiple counts of felony assault," Shuler said. "This is simple police brutality that I experienced and it's one of the most godawful experiences of my life. I've never been beaten like this. It left me with at least 10-12 cuts, abrasions and bruises on my arms, legs, torso and back. And according to Deputy Blevin's own incident report, he did not show a warrant. He claims he told me he had a warrant, but he didn't. That is a lie. He did not tell me that. And he initiated contact with me and I made no effort to turn away from him or to flee in any way. This is a scene right out of Hitler's Nazi Germany, but it happened right in our garage." According to Blevins incident report, he knocked Shuler to the ground three times onto a concrete floor, he sprayed mace on him, and all without showing a warrant to Shuler. "Why would an officer of the law not show a warrant if he had one?" Shuler said. "I strongly suspect Chris Blevins didn't even have a warrant. But even if he did, he didn't show it and had no grounds to come in my home. In addition to that, the court had no jurisdiction over me and still doesn't, because we never have been lawfully served because of a bogus traffic stop that Officer Mike DeHart conducted at the North Shelby County Library which we've reported on the blog. So essentially I'm sitting here in jail for over nine weeks now by orders of a court that has no jurisdiction on me and I'm also the victim of police brutality." "My case has received extensive national and international coverage. It's been reported by Al Jazeera, by al.com, by AlterNet, by many, many news sites on the internet, but very little has been written about the police brutality component of it--what happened during my arrest. I easily could have a concussion or a skull fracture from what was done to me and to say that I'm bitter and unhappy and enraged that this was allowed to happen in our country and nothing's been done about it would be an understatement. I strongly suggest that American citizens take notice of what has become a growing police state in our country, particularly here in the Deep South. Officers apparently think they don't have to have warrants or they don't have to show warrants. They just come inside your home and this form of police brutality was practiced on me," Shuler said. Matt Osborne of Osborne Ink wrote an article for his blog on Oct. 31 featuring extensive photos and video of the crime scene inside the garage where Shuler was assaulted, beaten, maced and unlawfully arrested by Shelby County sheriff deputies. Here is the link to Osborne's blog post: Exclusive Roger Shuler Arrest Scene Photos.